Select your studio location and follow the instructions below. Find your childs Class Name. 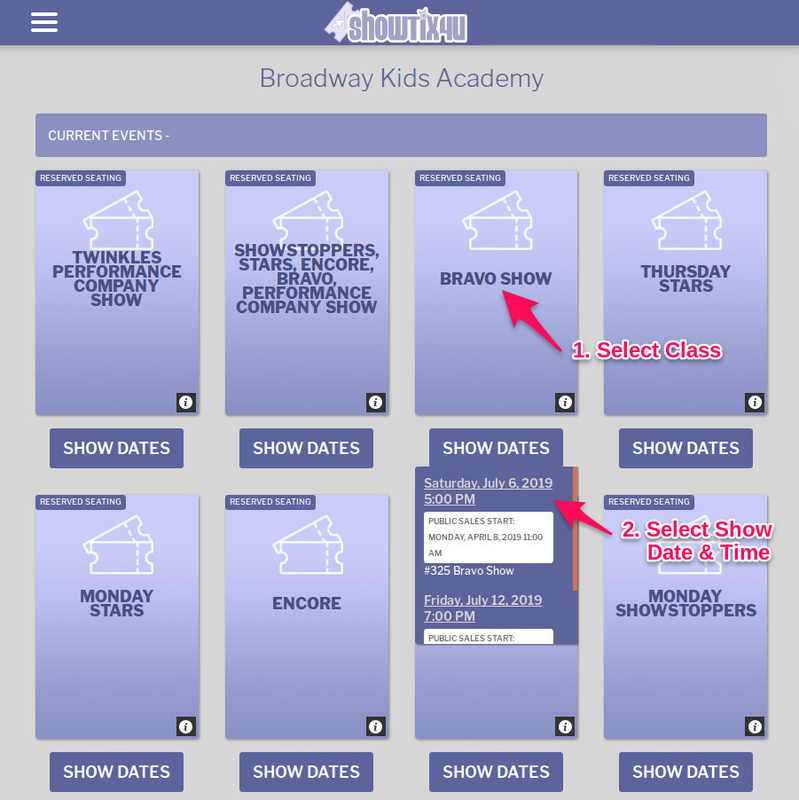 Select the Show Date, Time and Show number. Select the seat(s) you would like to purchase. Follow the Credit Card instructions for purchase. For purchasing problems call ShowTix4u.com.